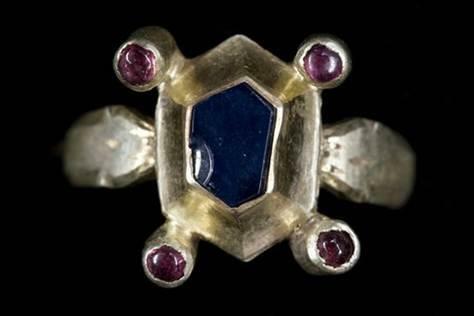 A trove of medieval jewelry and other precious objects found by a man working in his backyard includes pieces made for a royal court and may be worth as much as 100,000 euros ($150,000) government experts said Monday. The officials from Austria's department of national antiquities and the Academy of Sciences said they were only at the beginning of their investigation into the provenance and other details of the find. The memorials office said the man, who did not want to be identified, came across the objects in 2007 while digging in his back yard in the town of Wiener Neustadt, south of Vienna to expand a small pond. But he did not report it to authorities until after rediscovering the dirt-encrusted objects in a basement box while packing up after selling his house two years ago. 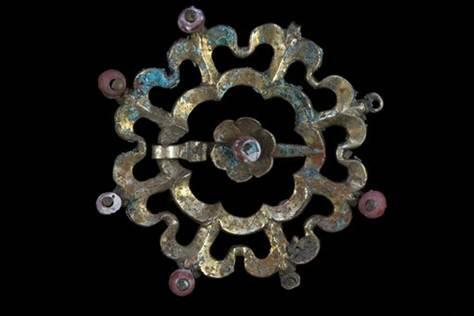 Officials presenting the pieces did not say when the finder first came to them with the ancient trove. They said that investigations into the find had only begun and could last up to four years. 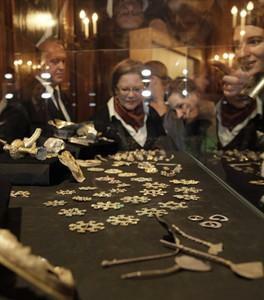 "We will probably never find an answer" to the treasure's origins, said Nikolaus Hofer of the memorial office.